I’ve got another spoiler free book review for you today. 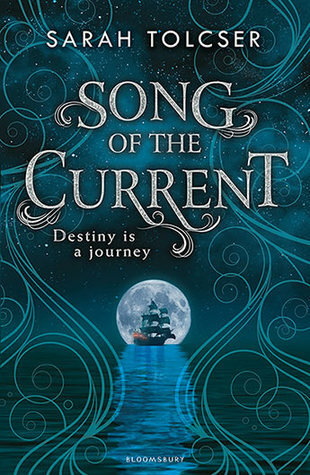 I read Song of the Current by Sarah Tolcser last year when it came out, but I haven’t heard much hype for it? And this book was really good and I feel like the series could be something amazing, so I wanted to get a few more people interested in this book. Caro’s family have a special bond with the river god, who guides their crafts as they ferry cargo through the rivers of their land. Caro is seventeen, far old enough to be called to her fate, but so far she’s heard nothing. She’s getting a bit fed up with it. She decides to take matters into her own hands when a rouge vessel burns down a group of boats and her father refuses to take their precious cargo to its destination. In delivering the cargo she hopes to make a name for herself, but she got a bit more than she bargained with. This book was really interesting. In a time where YA fantasies are getting pretty typical this was different to anything else I had read. It’s got a lot of different countries and some political stuff but the main focus is on the boating adventures, which I liked. When I started reading this book I was a bit wary of it because parts of the beginning made me roll my eyes, but it turned out really great. My enjoyment only increased the further we got into the book and the more adventurous the story got. I am highly anticipating the release of the sequel next year! I loved the adventure aspect, which in my opinion should be a much larger part of YA fantasy novels. I hope I’m not alone in saying that reading daring adventure stories set in a magical world is my favorite. It seems like these days there’s a lot more political intrigue and government overthrowing. Boats aren’t really in YA much, at least not the ones I’ve read. I think that this book does a pretty good job of explaining the boating terms but it might be a bit confusing if you’ve never come across boat lingo before. This world was quite whimsical and strange and to start with I was really confused but once I stopped questioning the world building too much it was great. The way the world was constructed seemed really natural, as if things had always been that way. The frogmen in this book were right out of a fairy picture book I had as a kid. again with the childhood nostalgia hitting me right in the heart. I kept thinking that they weren’t anatomically viable, but whatever. Hopefully in the next book we get some more insight into their culture. My constant problem with religious systems in YA fantasy is that either (1) everyone is the same religion and no one questions it not realistic (2) the way the religion is written makes it clear it isn’t real and it’s just people believing something completely made up this makes me so annoyed or (3) the way the religion is written makes it 100% accurate within the world so it’s less a religion and more some super powerful beings up there watching things. This book was written in a way where I wasn’t actually sure whether the religion was real or not and that’s exactly what I wanted. It was more like a myth that some people believed and could be chalked up to luck or coincidence but couldn’t really be disproved either. I loved how it was done and I can’t wait to learn more in the sequel. Our main character, I loved her. She knew what she wanted and she stuck with it. Her wants evolved over the course of the book but she didn’t have a massive change of heart for basically no reason. Despite what she learnt about herself and her world she still had the same core desires. Her name kind of threw me off though, is Caro a popular nickname for Caroline in the US??? Is this a thing??? I digress. The book kept describing her as bold and I agree so much. Bold female characters are often portrayed as reckless or hot headed to make boldness negative, but in itself boldness isn’t bad. Caro thought things through and took calculated risks that were dangerous, but she had a plan. They didn’t always pay off, another thing I loved. If you’re looking for a romance that features two independent individuals in a consensual relationship then this is the book for you. I loved the way the characters came to know and understand each other, how they helped each other in certain situations, and how they actually stayed their own people and weren’t consumed by the relationship. wow how strange??? They didn’t give up their goals for each other, they worked to make compromises so they could both be happy. Their physical relationship was also handled far better than I’ve seen in most YA novels. It wasn’t idealised, it was talked about, but it wasn’t too confronting and in your face. There were strong family aspects!! I thought he was arrogant and rude and I get that’s meant to be part of his character development, but you’d think he would have learnt to be a bit more diplomatic. He couldn’t stop criticizing things that he knew nothing about. 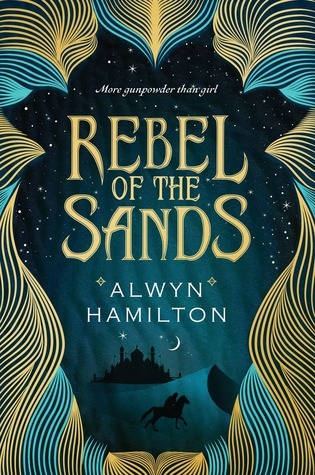 Rebel of the Sands: These books actually have a lot of similarities in theme and tone, only Song of the Current is a lot smaller scale and a bit more whimsical. The main characters are both amazing and talented. 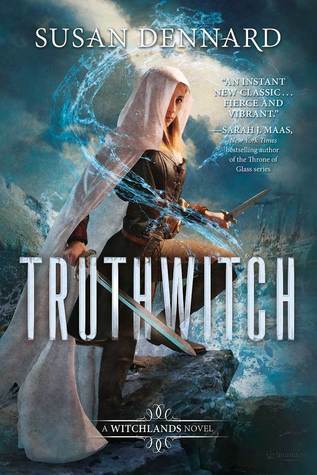 Truthwitch: These books both have such amazing world building. Song of the Current has a lot less going on but they share the well written character relationships. 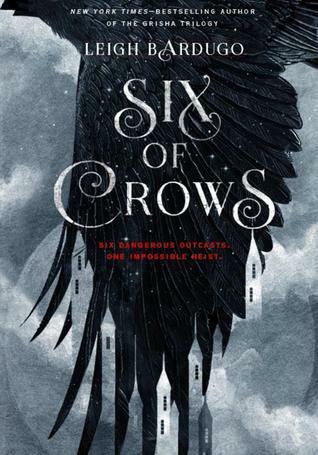 Six of Crows: Song of the Current isn’t about some large save the world plot, it’s just the story of a girl who’s willing to do anything to achieve her goal and who gets into a bunch of trouble doing so. if I gave out half stars, this book would definitely earn 4.5 stars.